Logo Contest Finalists – Vote For Your Favorite! 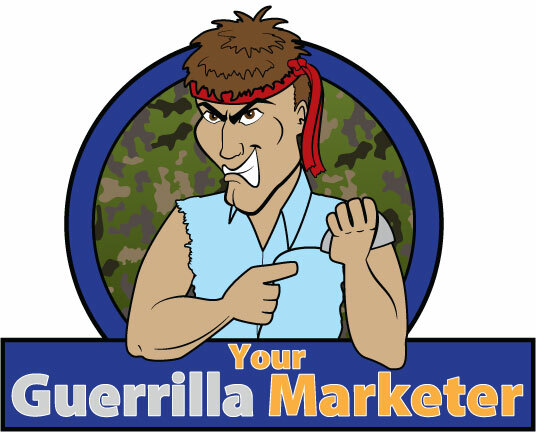 Four weeks ago, Your Guerrilla Marketer announced a contest, looking for designers to submit their ideas for what they think should be the new Your Guerrilla Marketer logo. The winner will get one-on-one marketing counseling with yours truly, Rick Verbanas. The response has been amazing, with the finalists listed below. These are my favorite designs. Like what you see? Please visit the finalists’ sites and contact them on how they can help you with your design needs! Bookmark their pages for future use and forward their contact information to colleagues who may benefit from their services. The winner will be announced on Friday, March 30, 2012, via e-newsletter and on this site. Please post your comments below on which logo you think should be the winner! The winner will be announced in one week, March 30, 2012. Please post your comments below on which design you like the best! A target can be hostile. Who is that guy with an anger management problem? “YGM” is not an acronym you are using. #4 is easily read, simple (easily put on business cards and mobile screens), and the target is a dart board (with the dart in it). #7 looks like the stencil on crate and is readable while conveying the under the covers, more clandestine nature of guerrilla marketing. Rick of the submitted logos, I like Luann Ladley,s. But, I like your banner idea better. Go ahead and pick a winner, but consider using a reduced version of your banner picture on your card. Hey I like 1 and 7!!!! I like #4 which is right on point. You are helping clients reach their target goals. I like #s 1, 4 and 7 the most. I vote for 1 and 7. I am glad that you got a great response. #2 because I like showing a person. #8 is crisp, clear and immediately communicates. #’s 6 and 1 are also good choices. It would have been nice to see something without camouflage fill or a bullseye image. There is no thinking out of the box. If I had to choose- I would say #8 because of the use of the key word Guerrilla and the font used. The camouflage fill is overkill. I also likes elements of #6. Great idea to generate feedback and promote your business. I wish I thought of it! Thanks for the feedback, Sally Ann! To be fair, I believe when the designers asked for my feedback, I may have said I liked the use of camo/bullseye and they delivered along those lines. Each one of these talented designers put in excellent effort and it shows! UNDERSTOOD. With that said, all were fab. I like #8. I like #1 and #6. YGM is “You’ve got mail”. I agree with everything everyone is saying above. You have to think about how this will look on printouts, business cards, and mobile devices. If it’s not “clean” – It won’t print exactly as you see it now. #4 is clearly the winner as it’s concise and will fit easily wherever you need to place it. May have been better if the typeface incorporated the guerrilla camouflage in some fashion. Rick, I like 1 & 6. But would like to see 6 with a target intact and not separated. I like #4 the best with the runner up being #7. I like 1 with 8 as a second. All look good though. 4 is my top choice. 8 is my second. There are some aspects of good logo design to keep in mind, and some that are missing. For example, Number 8 is the only one that stands a chance of being legible at a small size and in non-ideal viewing conditions, should it be used someplace other than a big clear web header – such a a flyer or simple banner, etc. Numbers 1 & 7 are my favorites. 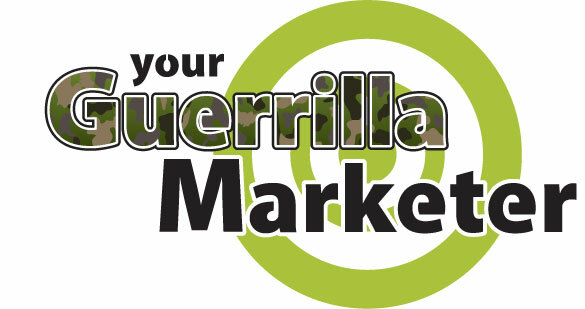 I would go with #1 as I like the concept of the camouflage and the target to illustrate the concept of “Target Marketing”.